Playing metin2 in VPS ? 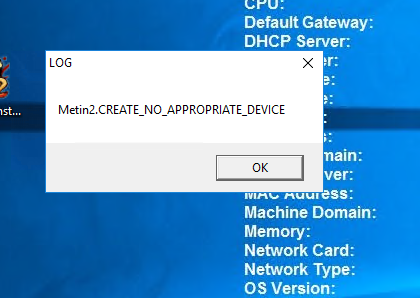 I just download metin2 and execute i still didnt download m2bob but seems thath in a google cloud windows 2016 datacenter server, i cannot make metin2 working. Anyone knows a possible solution? thanks for your help slait, ammm im asking here cause a normal metin2 player will have 0 interest in playing in a vps, but a botter maybe it does, i check thath yesterday but i dont know German, anyway ill use gtranslate. PS: You basically telling me to install VMware/Virtualbox in google cloud instance? Is imposibel to install win 7/8/10 in google cloud, they just dont let cause dont support it, you cannot do it, not in custom iso not in vm, always crashes. I have a google cloud virtual private server with high end GPUs thath isnt the Problem. Windows 2008 r2 2012 r2 2016 datacenter as SO tested. No worked also. It's always the GPU driver. I don't really know how cloud systems are work, but that fault is definitely a GPU driver issue. Hope you are right, if i manage to solve these i will create a guide here of how i run m2bob in cloud for free(well its pretty easy xD) i just need to solve what drivers are apropiate for GPU im pretty noob, hope i can find a solution. Im asking in reddit in /r/cloudygaming, hope i can get a solution, maybe a streaming app thath supports directx with GRID nvidia enterprise drivers? i dont know really.